Westerns are films set primarily in the latter half of the 19th century in the American Old West. 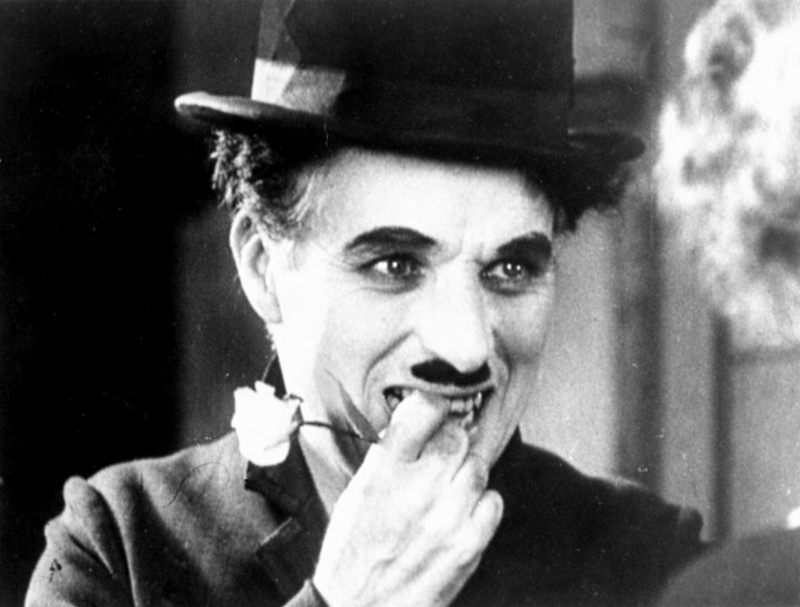 Some of the most beautiful music scores had been inspired by these movies. A town Marshall is personally compelled to face a returning deadly enemy, while his own town refuses to help him. Dimiti Tiomkin can probably be considered the father of western film score. His memorable score for this magnificent western adds to the suspense that builds up as Will Kane awaits Frank Miller, who is arriving on the noon train. Based on the Japanese legendary film The Seven Samurai, it tells the story of Mexican peasant villagers oppressed by bandits that decide to hire a group of seven gunfighters to defend them. The epic score composed by Elmer Bernstein gives me a sense of euphoric excitement, followed by a relaxing sense of inner peace. It is like riding a horse at full speed in a wide-open prairie, then going across a turbulent blue-white river, and finally reaching a nice green meadow. Ennio Morricone composed the score for the ultimate Spaghetti Western film. Three gunmen set out to find a hidden fortune during the American Civil War. The inimitable music is very thrilling, and the background of hallucinatory chanting voices is exhilarating. It makes me feel like an outlaw galloping in a western desert with dusty winds and rolling tumbleweeds, while being chased by vicious bounty hunters. 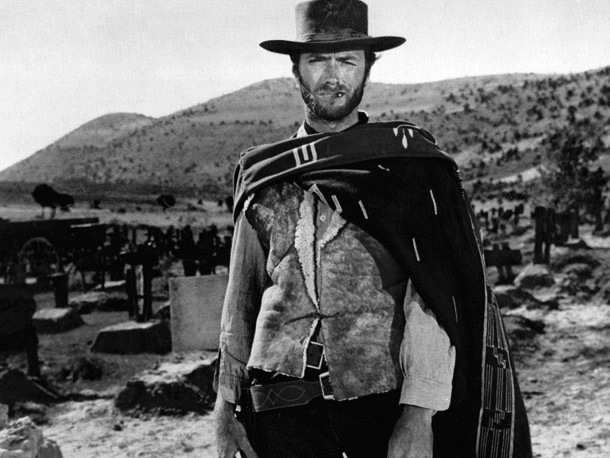 The “man with no name” also rode to the tune of magnificent scores in the first two films of the Sergio Leone’s trilogy. The maestro John Barry wrote a melancholic, romantic, and incredibly beautiful score for the exiled military man who befriends wolves and Indians. The majestic and melodic “John Dunbar Theme” is an essential element in this transcendent, endearing, and breathtaking film. Three trappers in the midst of the French and Indian War protect a British Colonel’s daughters. Trevor Jones composed a passionate orchestral composition that turned out to be one of the most popular and acclaimed scores of the nineties. Due to minor music cue contributions by Randy Edelman, the score was unfortunately not eligible for Oscar consideration. From Stagecoach (1939) to True Grit (2010), we has been blessed with numerous western score masterpieces. I just have scratched the surface of this treasure trove. Get your shovels ready and dig deeper. You will not be disappointed. There is an incredibly rich tradition of sport inspired and related music deeply ingrained in our collective psyche. Let’s eat “some peanuts and Cracker Jack” (Take Me Out to the Ball Game by Jack Norworth, 1908) while we celebrate magnificent tunes from outstanding sport related films. The greatest underdog sports movie triumphs at multiple levels. A true hero fighting for love and honor emerges with glory from a valiant defeat to inspire a nation. Bill Conti’s “Gonna Fly Now” is an extraordinarily powerful anthem and one of the most recognizable film themes ever. Like Rocky Balboa, the inspirational and very moving score is a bona fide champion and a genuine winner. The genial synthesizer composer Vangelis crafted one of the most memorable soundtracks of all time for this heroic and transcendent racing drama. The composition is passionate, riveting, stimulating and extraordinarily moving. His music for this film bested steep competition (On Golden Pond, Raiders of the Lost Ark) and won the Academy Award for best original score. The movie tells the story of Roy Hobbs, a man with incredible raw talent who is struck down in his prime, but gets a second chance to fulfill his dream of athletic glory through determination and integrity. The music by Randy Newman is sweetly nostalgic, and truly inspirational. It transports us to simpler and better time. Aaron Copeland would have considered it a Grand Slam. 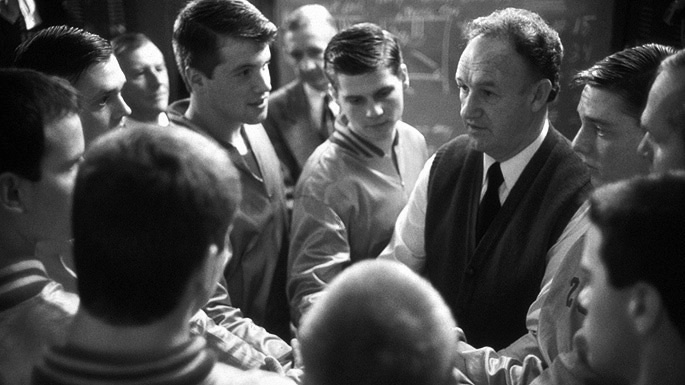 Considered by many the greatest sports film of all time, it is the story of Coach Norman Dale and his underdog basketball team rising to the challenge, and beating the odds. It highlights finding redemption, second chance at success, love for basketball, innocence of youth, and majestic rural Americana. The heartfelt and stirring score by Jerry Goldsmith has a beautiful and sublime melody. Prepared to be inspired, uplifted, touched and enlightened, while you try in vain to hold back your tears. A struggling Iowa farmer transforms a cornfield into a baseball diamond and a spiritual portal. Nostalgia for baseball’s Golden Age drives multitude of fans to visit the field where Shoeless Joe Jackson’s ghost comes to play the greatest game ever invented. 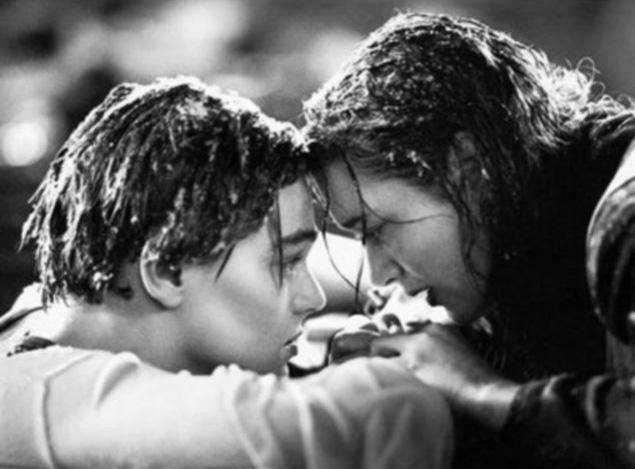 James Horner’s subtle but mesmerizing music lift our hearts and spirits. It is the perfect companion for this beautiful, enchanting and heartbreakingly charming baseball fantasy. The film is a celebration of the live and myth of the kung fu film star, an inspired man who through great effort and self-confidence would become martial-arts most enduring legend. The moving score by Randy Edelman is powerful and captivating, an emotional tour de force and an instant classic. War films range from patriotic and heroic fighting stories designed to celebrate unity and self-sacrifice for love of country, to anti-war films that depict war crimes, the disillusion of the public towards the horrors of warfare, and the negative effects war injuries and psychological stress on soldiers and returning veterans. 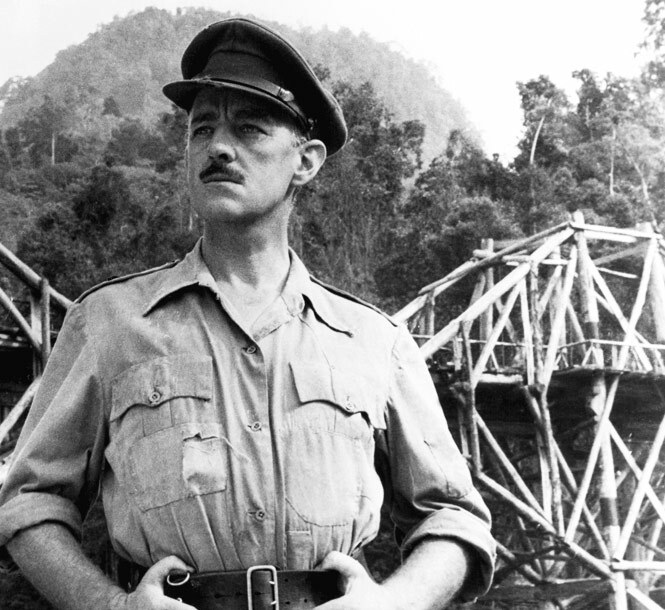 While in a prisoner of war camp, British Col. Nicholson co-operates to oversee his men’s construction of a railway bridge for their Japanese captors. Sir Malcolm Arnold incorporated in his score for the film the march Colonel Bogey, originally written in 1914 by Kenneth J. Alford (The British March King). British prisoners whistled unaccompanied the theme several times as they marched into the prison camp. Colonel Bogey inspired Arnold’s original “River Kwai March.” He won an Academy Award for the film’s score. The film narrates the actions of controversial war hero General Patton during World War II. Jerry Goldsmith composed a memorable, gripping and emotional score full of high-flying marches and reverberating trumpets. The tragic Civil War epic inspires a stunning and very moving score from James Horner. The music is full of honor, courage, tension, and mournful melancholia. As the film, the music is very emotionally charged and uplifting. German entrepreneur Oskar Schindler saves the lives of over one thousand Polish Jews during the Holocaust. Itzhak Perlman‘s violin solos are one of the best examples of how much beauty can be contained in profoundly sad music. This score is without doubt one of John Williams’ finest and most inspiring masterpieces. A film about a young Navy Executive Officer who thinks and acts in preventing his submarine captain from launching nuclear missiles before confirming his uncertain orders to do so. “Roll Tide” is a wonderful march full of bravura and defiance. The gifted composer Hans Zimmer confidently used a large orchestra and an all male choir to gradually builds a victorious climax full of tension and thunder. Stars and Stripes Forever (1952) is a biographical film about late composer John Philip Sousa (The American March King). He crafted some of the most famous military marches including “The Washington Post”, “The Liberty Bell” (later used as theme for Monty Python’s Flying Circus TV series) “The Thunderer”, “El Capitan”, “Semper Fidelis” (Official March of the United States Marine Corps), and “The Stars and Stripes Forever” (National March of the United States of America).